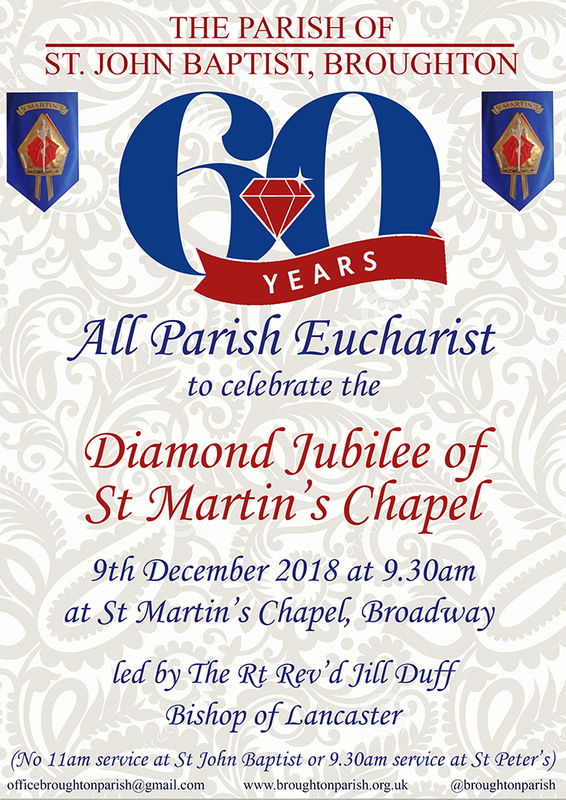 At St Martin’s on Sunday 9th December at 9.30am to celebrate the Diamond Jubilee led by the Rt Rev’d Jill Duff Bishop of Lancaster. Everyone welcome! No 11am service at St John’s or 9.30am at St Peter’s.